Planning for your family’s inheritance can be a challenge. With all the complex laws surrounding probate and asset protection, you want someone by your side who can help you find answers to your questions and guide you to a solution. With decades of proven experience, Aspen Legacy Planning is here to provide you with the in-depth legal knowledge and insights you need to build a secure and prosperous future for your family. Since 2006, Stephen J. Wesolick has been the South Dakota estate planning attorney of choice for many people. 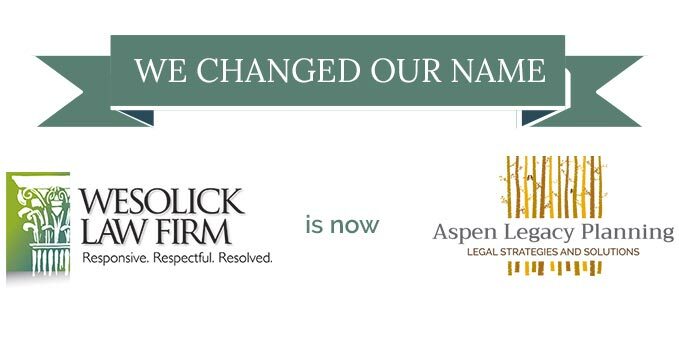 Call Aspen Legacy Planning today and schedule your free, no-obligation consultation. You have everything to gain by getting started on your family’s estate plan right away. Whether you need help protecting your family heirlooms from probate, applying for Medicaid, or establishing a special needs trust for a loved one, our team can help. Let our team help you understand your situation and how to proceed with confidence. Find out more about our free workshops and special reports by calling today and getting started on your estate planning process. Our South Dakota estate planning attorney has been practicing law since 1992. With a thorough understanding of the laws and challenges surrounding end-of-life planning, Stephen helps his clients gain a clear understanding of what they face and how to make the best use of their available legal options. Many of our clients simply have not considered how important it is to get started on their estate planning, so we make it a priority to simplify the process as much as possible. Stephen is admitted to practice or has referral relationships in jurisdictions across the country. Call today and schedule your free consultation. Interested in Estate Planning or Elder Law Planning? To learn more, attend one of our upcoming FREE seminar and workshops on Wills, Living Trusts, Geriatric Care Planning, and Estate Planning.